Diablo III The Gates of Hell Released: Diablo III will hit stores. With the launch, Game stores have decided to make an extraordinary opportunity for users who have booked the game may have it from minute one of its launch this May 15. Some chain stores will open their proposals at 00.00 hours on 15 for this purpose. Diablo III is undoubtedly one of the titles of 2012. Blizzard has worked to regain the series, he had not received a new release since 2001 was published Diablo II: Lord of Destruction. The title was announced in 2008 and since then have not stopped rumors appear on their development, release date and other issues related to the title. 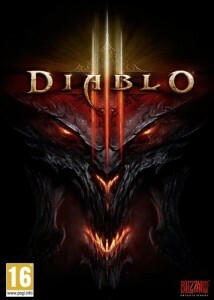 After several delays, Diablo III is coming few hours. The title background is 20 years after the events narrated in the previous game. Blizzard explained that users will find a context in which the demons have been defeated over and it’s time to investigate an incident that occurred in Tristan, related to “rumors of a falling star.” This event is the first sign of the return of evil and will be the start of a new adventure, in which users will have to face once again with demons of all kinds. The game comes after having been available in open beta. The objective was to test Blizzard title and it appears that the test has met expectations. Users could try for a whole weekend the chances of Diablo III. To mark the release of Diablo III, Game has announced the opening of several unique shops. The company has confirmed on its official blog that will offer users who have booked the game the possibility of taking the title in the early hours of 14 to 15 May.